No one wants to pay more if they don’t have to. Paying for insurance is such a gamble that you are bound to play even if you don’t want. So, would you mind if you could settle for less? Here are four tips that could help lower your car insurance premiums. Most of just pick a policy and continue it for the entire life. However, if you are willing, you can save hundreds of dollars each year. To begin with, see if you have the right auto insurance coverage. If there have been no one to teach you on this, you may not know how to and which policy to choose. It’s not your fault. You can easily be mistaken. Secondly, try to figure out the type of coverage you’re currently having and how much are you paying for that. Don’t be lazy. Try to shop around to get to know about the markets and the rates. Is your provider competitive enough? If you find that you’ve been paying for what you’re getting, ask the company to lower your premiums. Else, join someone else. Ask the auto insurance experts. 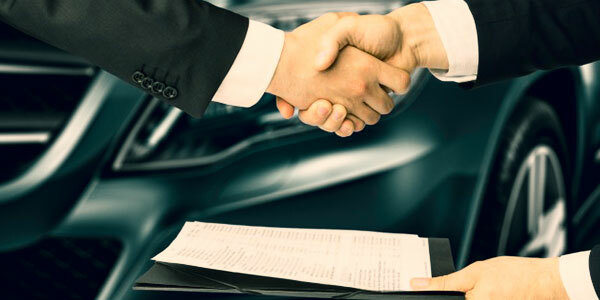 If you didn’t have anyone to guide you while choosing an auto insurance policy and unfortunately, you chose the wrong one, now is the time to rectify your mistake. Today, there are many online insurance forums where you can head with your questions. Apart from novices like you, you’ll find there many industry experts who are there to help you. Call a company each day and see how much less they’re offering you. Negotiating a better deal is a much harder job to be accomplished with insurance companies than banks, so don’t expect much. Call an insurance company and ask how much would it cost if you insure both your car and house with them. See if they offer you any discount for twin policies. Also, check if they offer you any renewal discounts if you go into a long-term relationship with them. See if anyone offers you an option to save by pre-paying the entire year up front. Check with the institution if they offer discounts for installing anti-theft and other safety devices. See if the insurance company offer low-mileage discounts. If they do, what are the types. See if they’d offer you any discount for getting enrolled in a defensive-driving course. If they do, see which are the courses that are listed. See if they have any specific discount for your employer. Some insurance companies offer discounts for people in low-risk occupations. If you’re in a profession that doesn’t possess much threat, check with the insurance company to see if they offer any discount. See if the policy covers roadside assistance and the other benefits. If you already pay for AAA, you don’t need roadside assistance through your car insurance. See if you can raise the deductible so that the monthly premiums go down. All these might seem a lot of hard work. But if you want to save something significant at the end of each year, you have to do this. However, don’t head to a company that has no history or reputation just to save a few bucks. Pick a good company because it can be worth thousands of dollars. Try it out and let me know what you find in the comments.